The Meltdown Project was supposed to begin the Monday after the Thanksgiving holiday. Unfortunately I suffered an injury and had to postpone it. I'm finally healed up and ready to go. 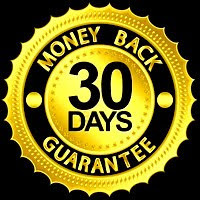 This project is a workout and diet program that Fat X'ers can use to shed the holiday fat and weight gained over the holiday/holidays. The expedited fat loss project begins tomorrow and I hope to have the program available early January. 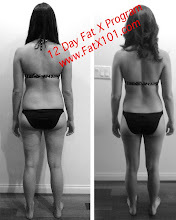 The Fat X program takes at minimum 12 days. The Meltdown Project is an experiment to see if I can achieve similar results in less time. It's going to be a challenge, but I'm motivated by the success of the Fat X Project/Program and the positive responses I've received from people that have been successful in their fat burning and weight loss goals using the Fat X program. I'm eager to implement a few fat burning strategies and other tips and tricks that I've learned since I put the Fat X program together. The diet I will use will be the same as the Fat X diet with the exception of the splurge allowance. I will leave the splurge allowance out because of the shorter time frame I'm shooting for. 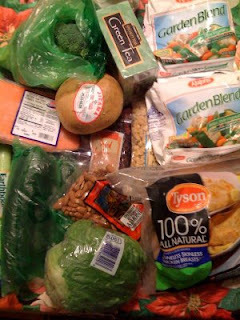 I went shopping earlier and took a picture of what I'll be eating. Some of the things aren't shown in the picture so here's a list of the food items I will use in my diet. Good information...good to know i can diet like a man...i bought a bunch of veggies today. I'm finished up Day 3 today and I am loving this program so far. I read through the entire blog this evening and I was wondering whatever happened with the Meltddown Project. were you ever able to do it? If so, I'd like to hear about it. Thanks for this blog! It's fantastic.